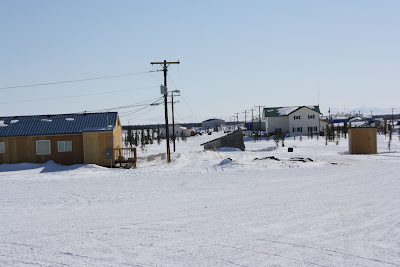 I traveled to Noatak, Alaska, for a site visit with EJ, a grantee in Kotzebue, AK. 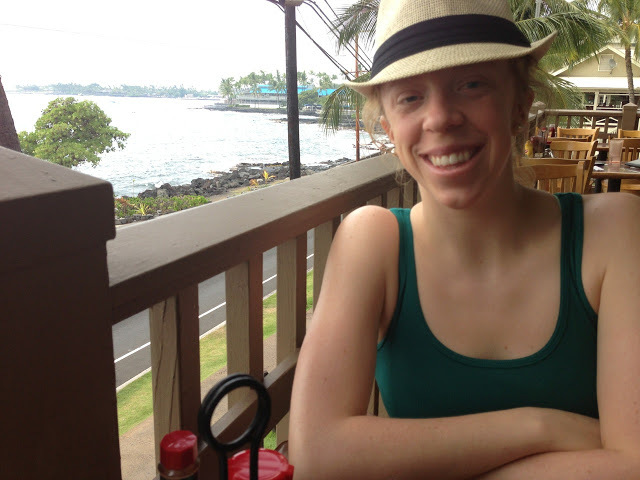 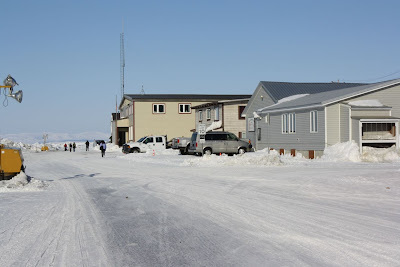 Having been to Kotzebue a number of times, I had never traveled to a village in the area. Interestingly, EJ is originally from and grew up in Noatak. 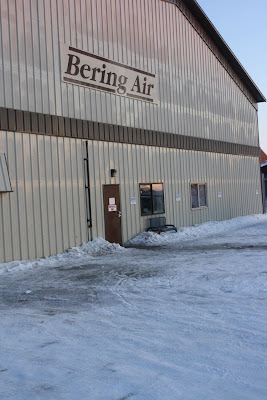 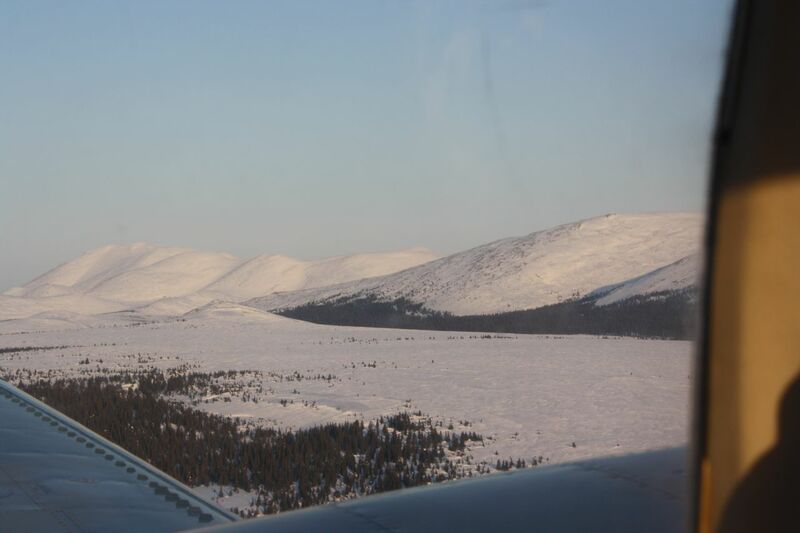 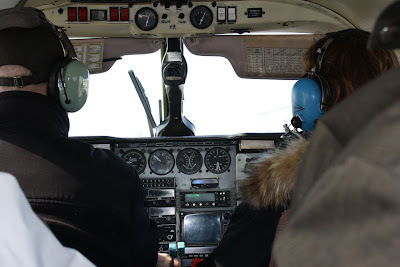 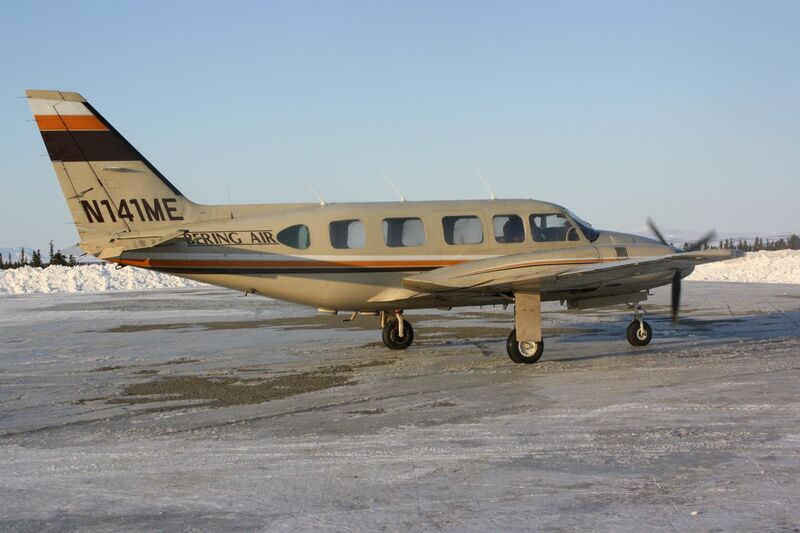 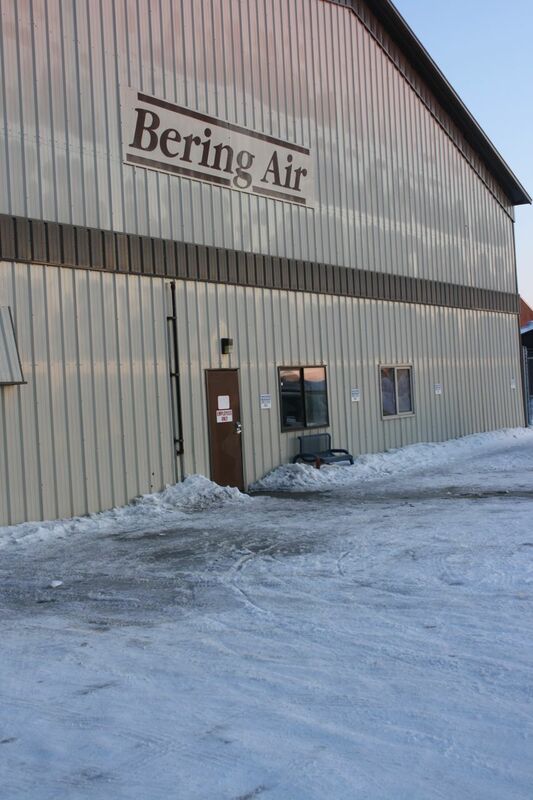 We traveled from Kotzebue via Bering Air, an airline based out of Nome, Alaska, that charters flights to villages and communities in northwest Alaska. We flew in a Navajo, a twin-engine aircraft that can seat up to nine passengers and cruises at about 220 miles per hour. 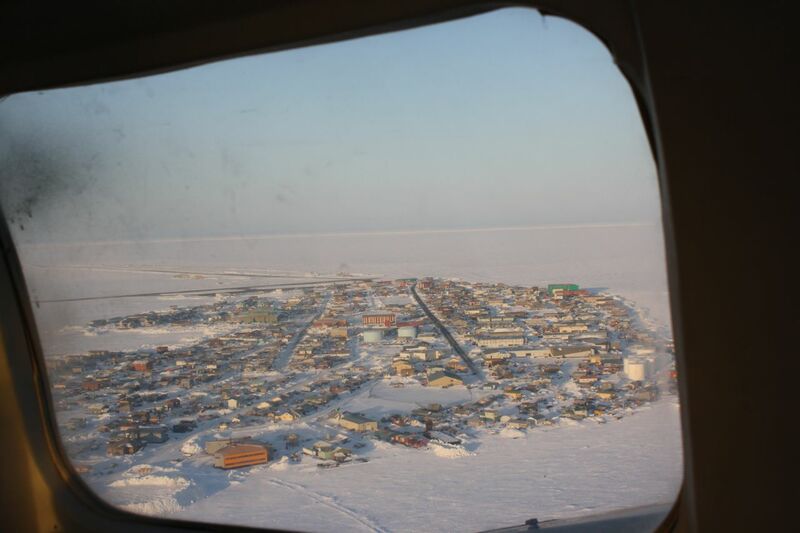 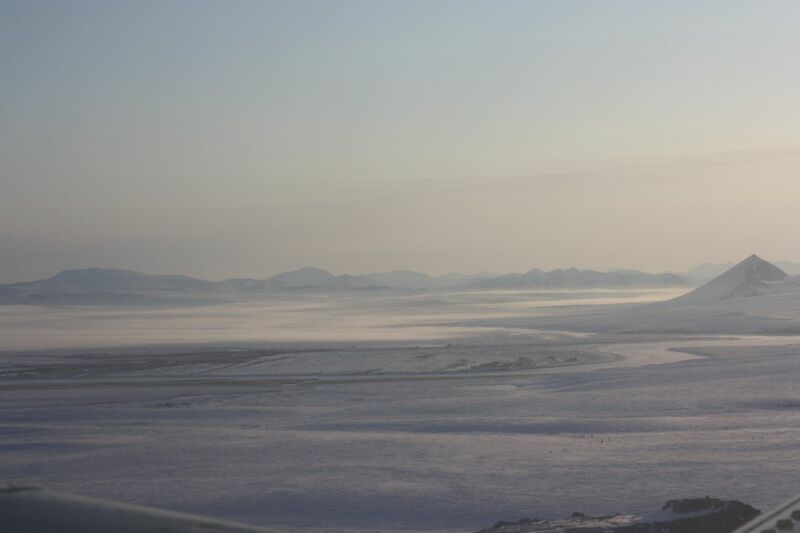 Kotzebue from the window. 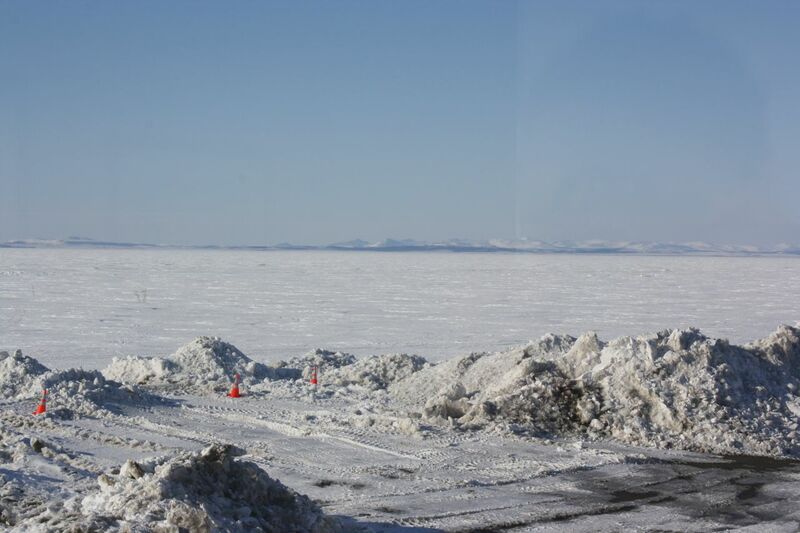 You will notice that Kotzebue and northwest Alaska still has plenty of snow. The flight from Kotzebue to Noatak took about twenty minutes. 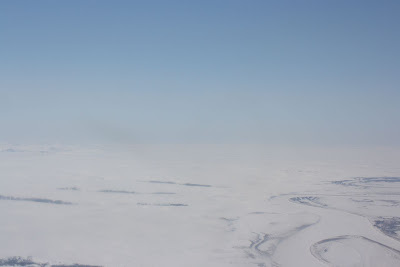 The view of the arctic was incredible. 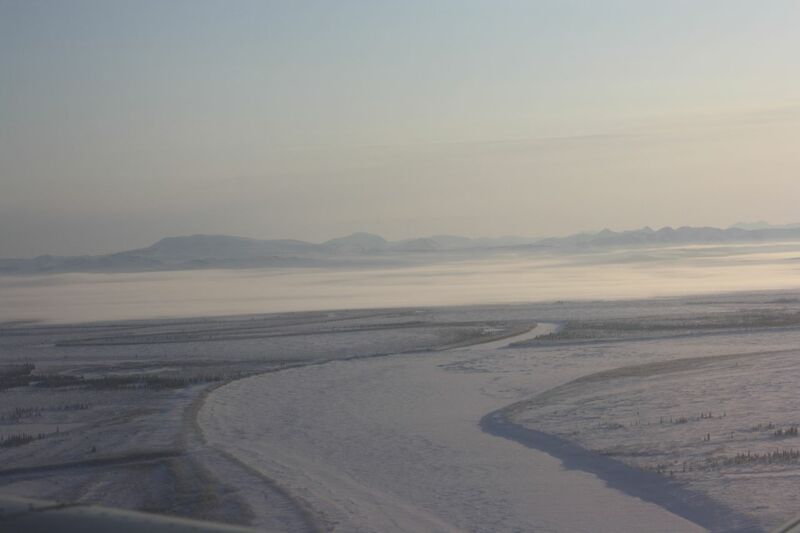 The Noatak River, a National Wild and Scenic River since 1980, flows westward to the Chukchi Sea at Kotzebue Sound. 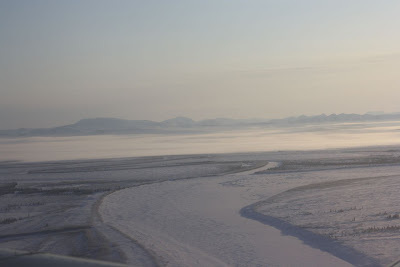 The entire course of the river is 330 miles and runs completely north of the Arctic Circle. 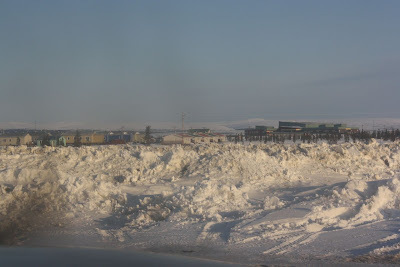 Noatak! 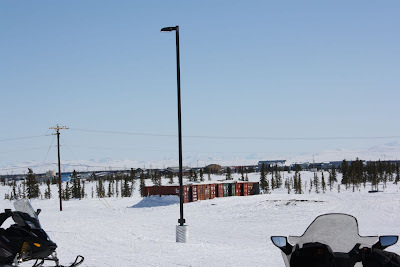 Where temperatures were a brisk eight degrees and sunny. 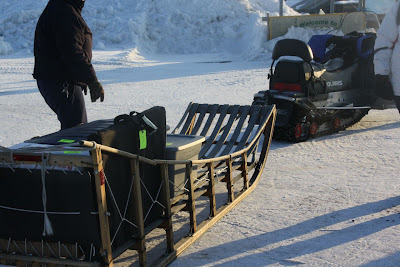 After hauling our boxes off the plane, we put them in a sled to be transported to the school; a sled that was pulled by a snow machine. 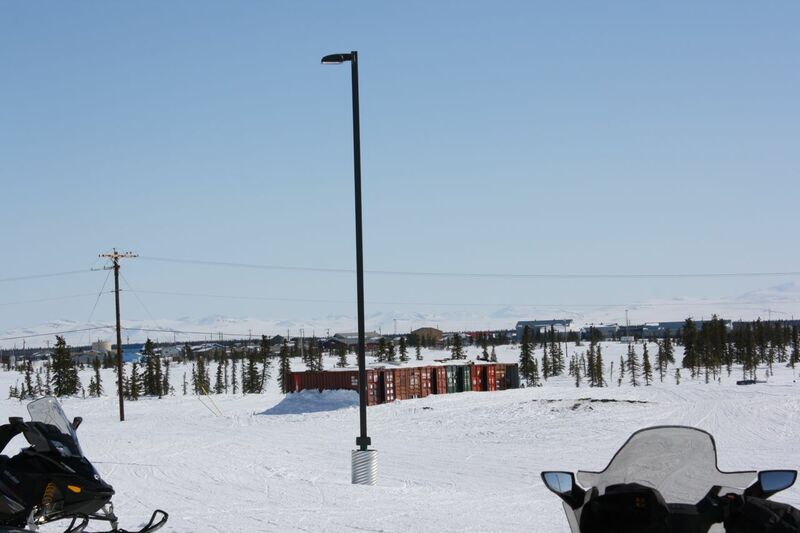 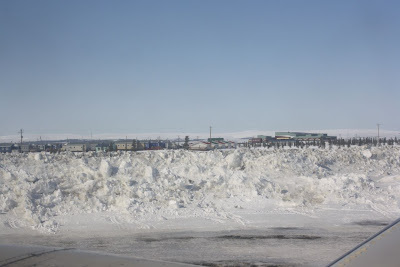 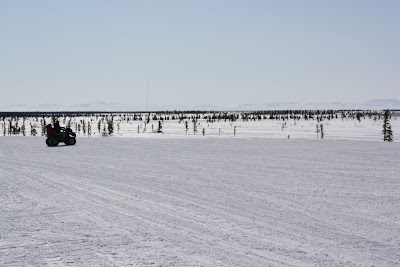 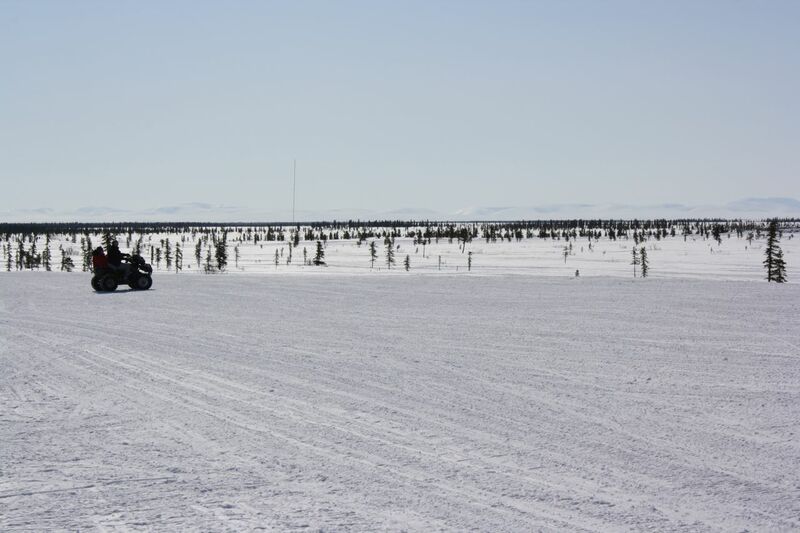 Almost everyone in Noatak (and Kotzebue) travels by snow machine or a four-wheeler. 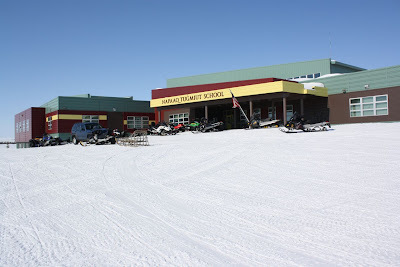 The village school is where we spoke to and educated community members about the negative health risks of using tobacco. 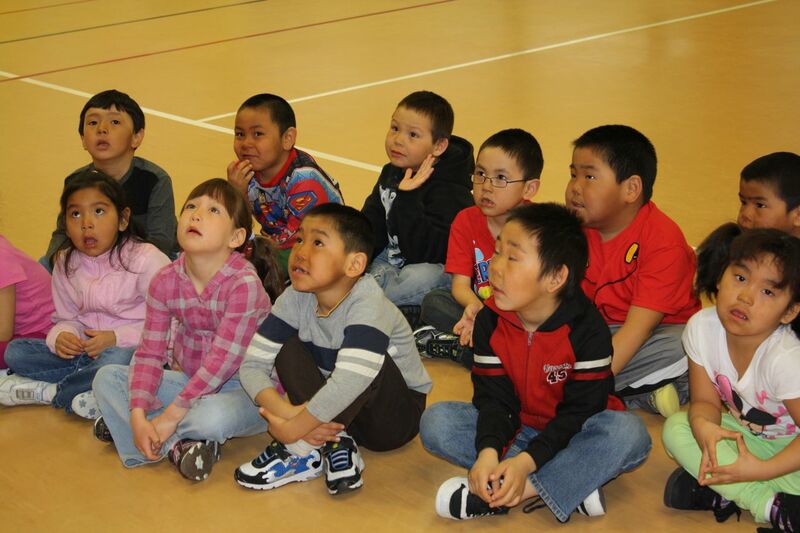 Community members included school children. Although tobacco use rates are decreasing overall among Alaskans, children in many rural villages and communities as young as seven and eight are using tobacco, specifically smokeless tobacco. 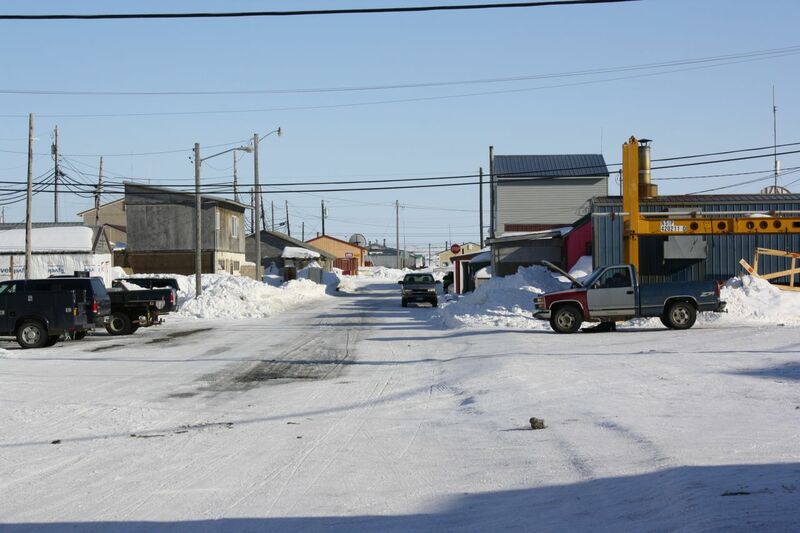 In Noatak, it was more common for high school youth to use tobacco than to not use tobacco. 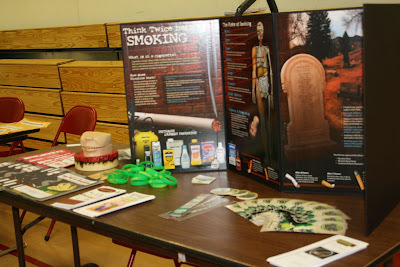 These youth are using both cigarettes and smokeless tobacco. A significant number of the smokeless tobacco users are girls. 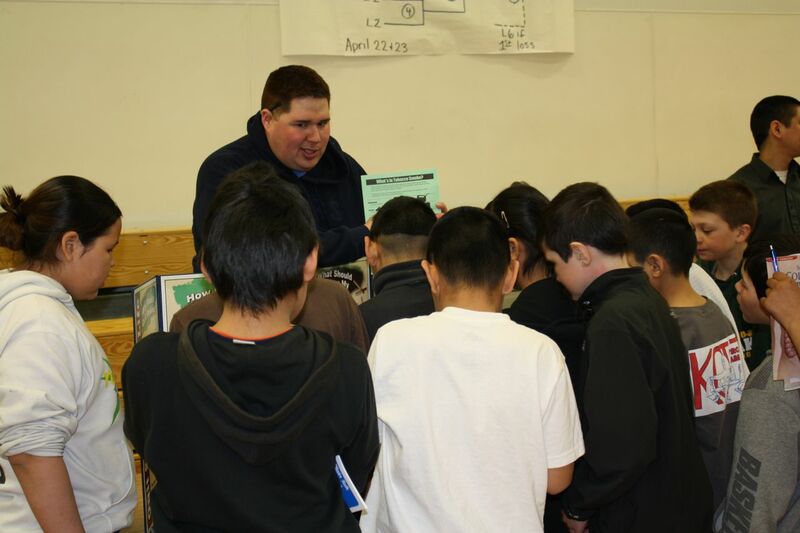 EJ sharing information about tobacco and second-hand smoke with youth. When the day was over, we loaded the sleds up with our boxes and headed back to the airport. 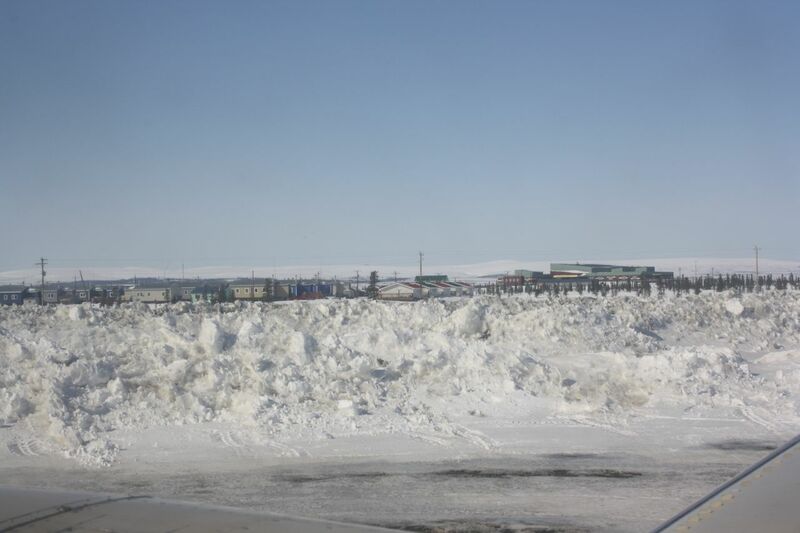 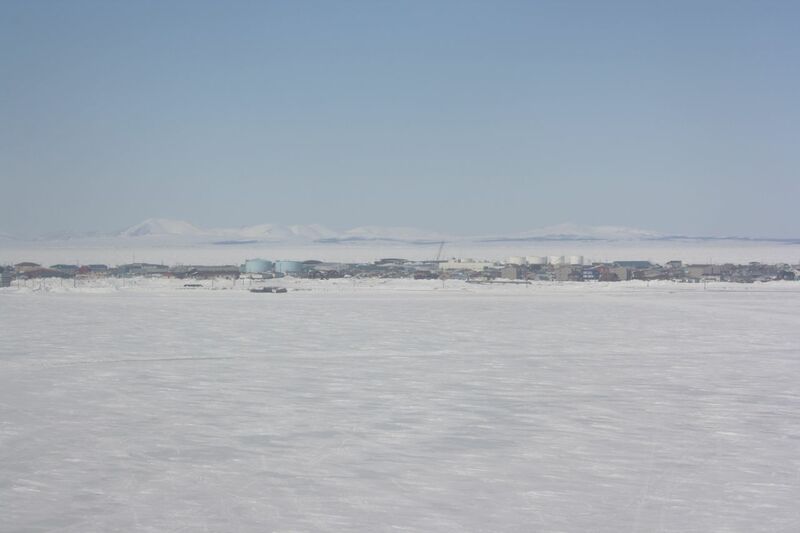 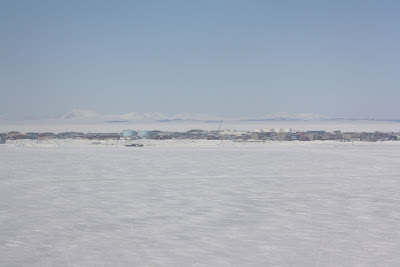 The village of Noatak seen from the window of the Navajo. The Chukchi Sea via the Kotzebue Sound. 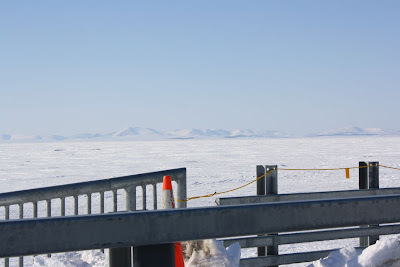 In the forefront is a newly built boardwalk. Another picture of the Chukchi Sea, a marginal sea of the Arctic Ocean, which is navigable only four months out of the year. The southernmost tip of the Chukchi Sea is formed by the Bering Straight, connecting to the Bering Sea and the Pacific Ocean. 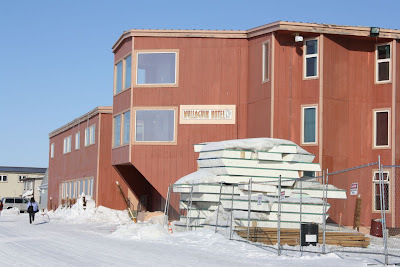 One of two restaurants in Kotzebue. 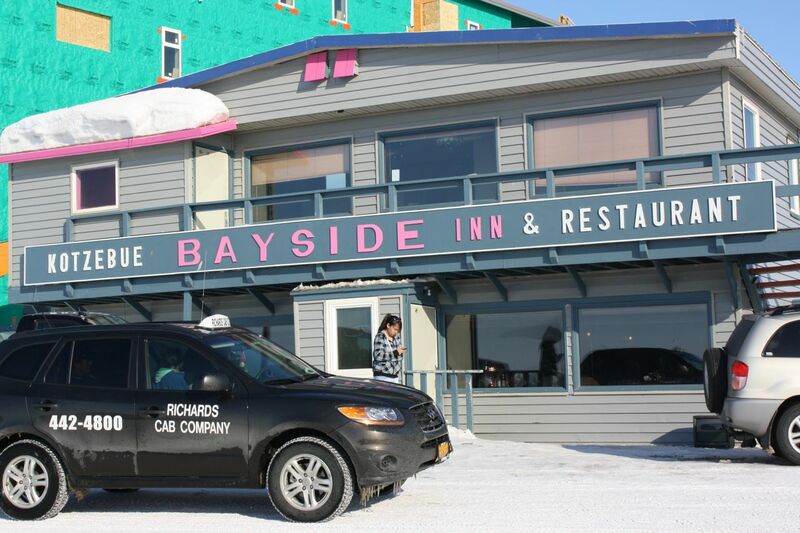 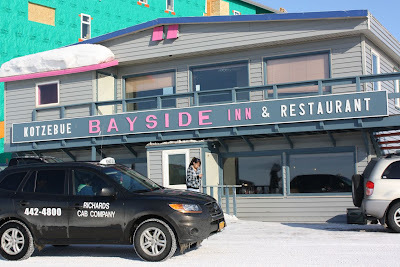 The Bayside Inn and Restaurant specializes in Chinese/American food. 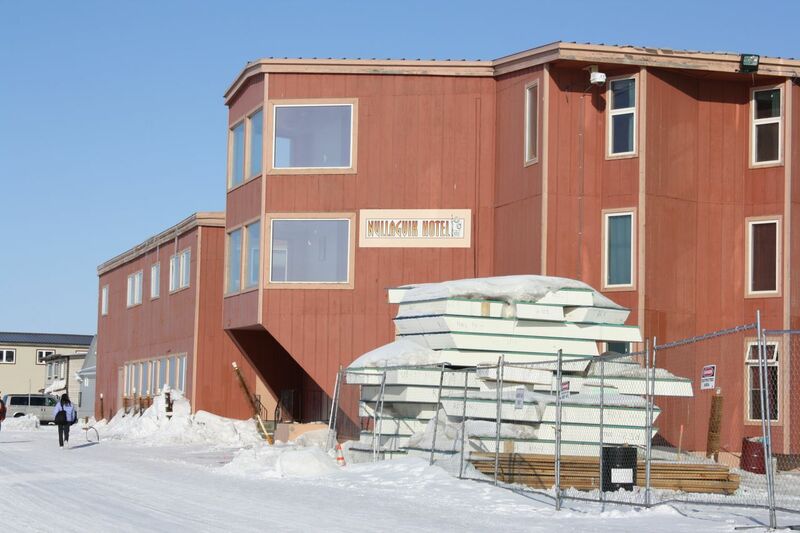 The Nullagvik Hotel is the only hotel in Kotzebue. 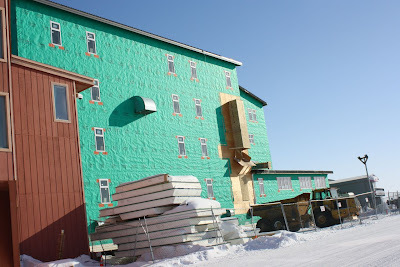 However, a new hotel is being built and is scheduled to be completed in the fall of 2011. The streets of Kotzebue at 18 degrees. I hope you enjoyed this glimpse of northwest Alaska.